Fantastic, courteous, and fast service. Great experience. Sue and Camy did a great job finding the right units for us. Great location also! I really had a great experience at this location the staff was awesome and the facility was really clean. Super good facility, clean, well taken care of, and good security. Camelia was very helpful, she thought about my needs and figured out the best arrangements for me. I looked at any number of storage facilities in the area and hands down this is the best place. IMO ---- Remembering that, "you get what you pay for". The staff has been professional and helpful since day one. The facilities are clean and well maintained. Will be with Camy and Elsa, happily longer than planned. The customer service was great. The space is clean and very spacious. Would definitely recommend it to others. The best storage facility! Camy and Elsa are extremely helpful. Ive rented here for many years. I had a storage unit at this location for 10 months and I'm more than satisfied with the cleanliness,accessibility and customer service at this location. Will continue to use this location for all my storage needs. Elsa and Camy are awesome to work with. Excellent location. Great service and help both in person and via phone. Would highly recommend. Very professional, warm and friendly staff. Units are very clean and set in a very well lit, safe area. Can't say enough about the staff, very helpful. Cami helped me three years ago when I stored my things and I recently am in the process of moving again, and she reckonized me......great customer service !!!!! This place is clean, great location and I love that it's air conditioning friendly, so at least my clothes won't smell like mildew....it's also seconds from the 95!!!!!!! Ask for Cami, super sweet. Great price and location. Camy was very professional and helpful. I highly recommend this place. Great customer service by the manager Camy. She was very helpful and attentive to all our needs. Much cleaner facility than others in the area. Have a great experience. From the 1st reservation online, to the phone call to confirm all the way to me going in to pay for the unit. Everyone was polite, friendly and informative. 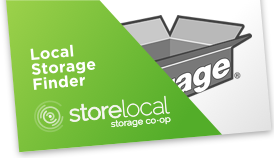 I am glad I choose StorageMart!! Very nice and helpful people working here. Very efficient and clean operation. The price is right and the facility was perfect for safely storing our vehicle in a climate controlled environment for a month. Highly recommended! 5 minutes from our house. The staff is always available, friendly and helpful. Facilities are always clean. Safe atmosphere. Great been here since they opened clean great customer service. Very helpful. I have been a customer at this location for over a year now and the place is clean and very well maintained. The manager Camy and also Elsa are very helpful and deliver great customer service. The location is very convenient for me since it's right next to i95. I would recommend this place to anyone looking for a secure, clean and great customer service driven storage place. Carmen was so professional and gave me incredible customer service as I was choosing a storage unit. I was given detailed information about the storage units, property, pricing, security and insurance. I would highly recommend these folks! Very good experience. Never had a problem here. I've been with Storage Mart for 2 years or more now. It's a very good storage facility. The property is very secure and well maintained. Clean, and always pleasant atmosphere. Only problem is the rental price goes up a little too often for me. I understand they must stay in competition with the other facilities, but loyal customers rental amounts should not keep rising. Overall the facility is great. 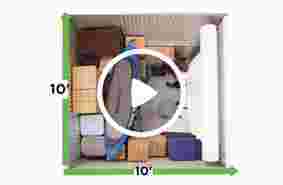 Best storage in South Florida. Been storing stuff here for 15 years. No complaints. This is a super nice facility. Clean, well-maintained (except for the elevator keypad that all the numbers have been rubbed off), nice people working there. I was here for a few years and the rates just keep going up. Seemed like once or twice a year I was getting a letter letting me know about the upcoming rate hike. As another reviewer posted, "you get what you pay for." Yes, it is a super nice facility, but I just couldn't justify the cost anymore. I went somewhere else, got a unit twice as big for 1/3rd the price. Accessible area, near the highway, secure! Was quoted one price then charged a slightly higher amount which I wasn't too happy about but... when you move, you're really not in the position to start up with that..... Would love to have more extended hours or special coding to get in if necessary at special times, if needed. Otherwise, clean, carts available to use..... Staff is very very nice and helpful! 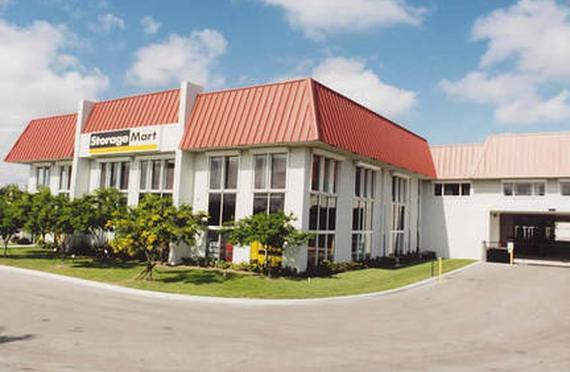 I've been a customer of storagemart for years, this location was great until they placed the new manager Maritza there. She is an older lady, I walked in there an she was on her phone watching a movie which you could hear all the way to the elevator area. She is very disrespectful and racists, I bought some boxes and paid and she had the nerves to throw the money at me. The other customer that was white she handed them the money prior to my transaction. The office phone was ringing and ringing and she didn't even bother to answer it. It must have rang 5 time the short time I was there. It literally took her 10 minutes to acknowledge that I was even there. I came back 2 days later and she was standing in front of the entrance way smoking a cigarette, I have never seen this with previous managers. It is very rude to smoke in the entrance door way and blow your smoke at customers. I'm sorry but Storagemart you have failed with this new employee. I will be taking my business elsewhere. Terrible customer service especially the lady with the shorthair behind the counter she has the worst attitude.I specifically told her 3 days before the end of The month that I am moving from my $600 unit to a smaller unit for $150 and I specifically told her to make sure that she stop the automatic payment because I am on auto paythat was supposed to go throu on the first. At first she made it impossible for me to switch and she kept saying that they don't have anything available and then five minutes later she showed me a bunch of places not sure why she was saying that in the beginning very sketchy. The next day which is September 29 I moved everything out and technically I still have one more day. She never switched me or nothing even though she give me access to another unit on the 28th then my bank account was charged $600 when I came in Monday morning to the office she had an attitude again and told me that they will give me a refund !!!! Didn't even apologize or nothing so now I'm paying almost $800 in storage and I have to wait for my money to be returned which is going to take a week probably or more very inconvenient very unprofessional I called the office trying to speak to the owner and she will not transfer me neither the other Person who was working there.